Man camp operator Target Logistics now has more than 3,700 beds in North Dakota, the majority of them in Williams County. Their projects are all modular construction. The company, which operates temporary housing facilities around the world, announced last week it is nearly complete with two new man camp projects in North Dakota’s oil patch: The Judson Executive Lodge in Williams County opens in mid-June and the expansion to the Stanley Hotel in Stanley opens in mid-July. Target Logistics’ Judson Executive Lodge, located on U.S. Highway 2 west of Williston, will house 100 individuals. The Stanley Hotel is located at the junction of U.S. Highway 2 and 4th Street Southwest in Stanley, adjacent to Target Logistics’ Stanley Cabins, and will house 335 individuals. 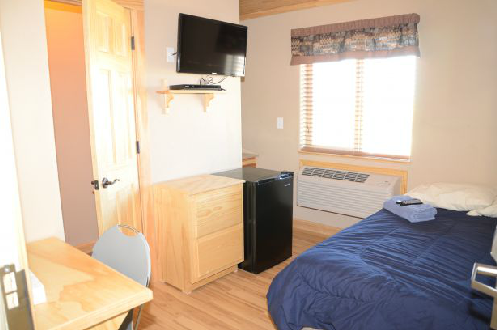 Both new facilities will feature: Executive rooms with private baths, satellite television, various appliances, daily housekeeping services and other typical man camp features. With the addition of the Judson Executive Lodge and the Stanley Hotel expansion, Target Logistics has nine man camps in North Dakota, with a total of 3,719 beds. An additional 1,000 beds are in Target Logistics lodges in Arizona, Texas and Mexico, and more than 2,000 new bedrooms are soon to begin construction in North Dakota and Texas.